At Vail Mountain, the safety of our visitors and employees is of the utmost importance and that concern for safety is the deciding factor in all decision regarding uphill policy. Your cooperation with Vail Ski Patrol and U.S. Forest Service’s guidelines for safely skinning and hiking up Vail Mountain are what make the opportunity possible. uphill policy. 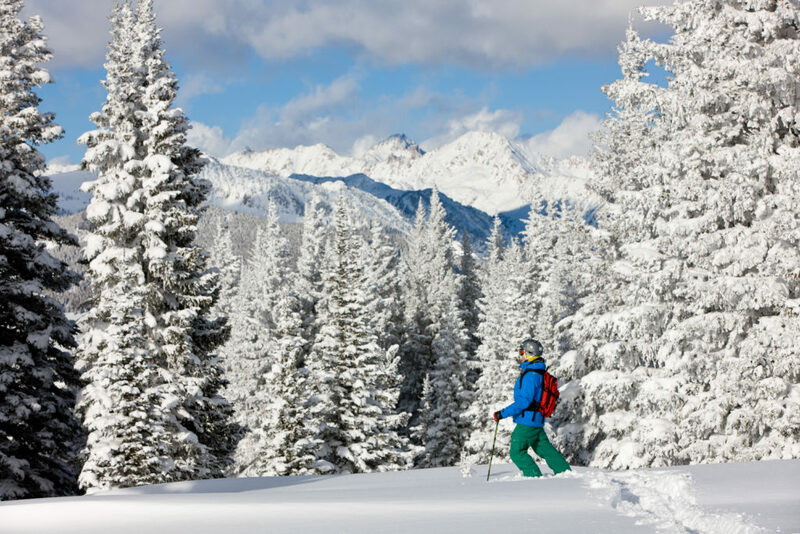 Your cooperation with Vail Ski Patrol, Vail Security and the U.S. Forest Service’s guidelines for safely skinning and hiking up Vail Mountain are what make the opportunity possible. Uphill access is now open on Vail Mountain. Those climbing up the mountain should expect to encounter snowcats, including winch cats, snowmobiles, snowmaking equipment and other traffic both day and night. For any questions about skinning and hiking up the mountain or for trail recommendations on any given day, please call the Vail Trails Hotline at 970-754-3049. Vail’s full uphill access policy can be viewed online at www.vail.com. Vail Mountain and the U.S. Forest Service thank guests for their understanding and cooperation. yourself of the latest snow conditions by contacting CAIC. we ask that you stay out of closed sections of the mountain. 3. Reflective Materials, Headlamps, and Whistles. It is strongly recommended that all Uphill Access users use reflective materials on ski poles, clothing, and/or packs to increase visibility. In addition to headlamps, flashing lights will make it easier for other users as well as ski area personnel to see you and your party in the dark. Lastly, a whistle can be beneficial if the need arises to send an audible warning or signal. As the season progresses and more of the mountain opens, you will be free to go uphill during operating hours. Hiking and Skinning with dogs is allowed only during non-operational hours. Dogs must be on a leash at all times on Vail Mountain. recommendations on any given day, please call the Vail Trails Hotline at 970-754-3049.